There were 227 murders in June, July and August. 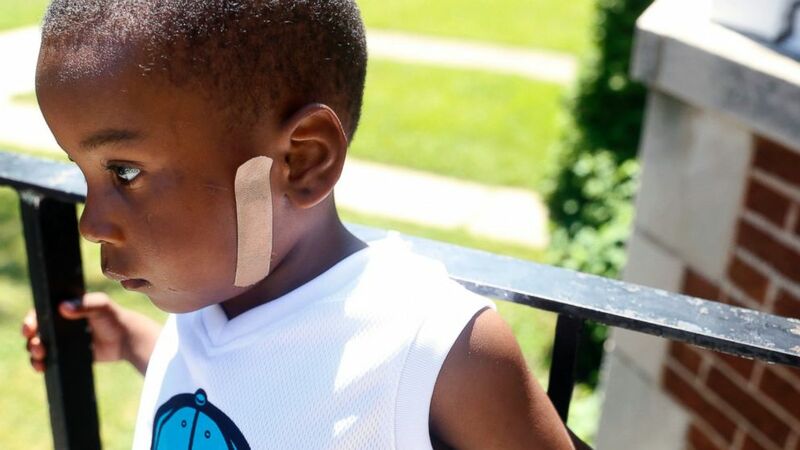 From Memorial Day weekend, when 25-year-old Mark Lindsey was repeatedly shot while he was sitting in a car near his home, to Labor Day weekend, when two men walked up to a 17-year-old gang member and shot him several times in the back, it has been a long and bloody summer in Chicago. 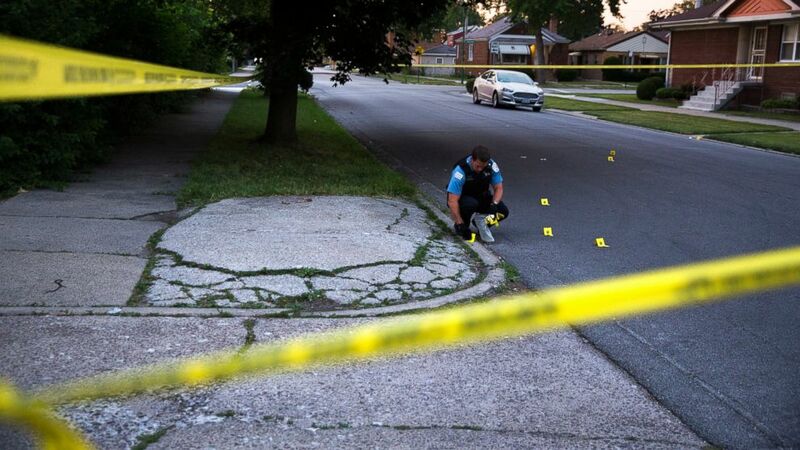 Thirteen people were fatally shot over Labor Day weekend, the Chicago Tribune reported. It has propelled the total number of homicides so far this year to more than 500. The three summer months made up almost half of all 2016 homicides to date. Between June 1 and August 31, a total of 227 people were killed in the city, according to the Chicago Police Department. The summer of violence peaked in August, which became Chicago's bloodiest month in 20 years. There were 472 shooting victims in August's 31 days. Ninety people were killed in August, higher than every other month of the year. When this summer began, "police chiefs around the country were bracing for an increase in violent crime," said John Cohen, an ABC News contributor who is a former U.S. counter-terrorism official. According to Cohen, urban areas usually have an increase in violent crime in the summer because more people are outside. And this summer specifically, he said major U.S. cities were predicting an uptick in violent crime based on increases seen at the end of last year and early this year. Cohen said police departments use data to help determine where to expect crime surges, from identifying neighborhoods where past shootings occurred to tracking "relationships between street gangs and drug trafficking organizations." Cohen said data can break potential crimes down to the time of day or day of the week, which enables police to take action: they can "increase stops, work probation and parole to look at repeat offenders ... [or] identify where illegal guns may be." Chicago Police Supt. Eddie Johnson attributes the city's violence to repeat gun offenders. According to the Chicago Police Department, a majority of the people involved in violence in the city are either members of gangs, affiliated with gangs or previously had contact with the police department. The Chicago PD said in August that data analysis from the University of Chicago showed them that "nearly 40 percent of those arrested for homicide in 2015 had prior arrests for gun crimes." (Tae-Gyun Kim/AP Photo) Kavan Collins, 4, stands on his father's porch in Chicago on July 19, 2016. Collins was shot on June 28, 2016, while holding his mother's hand on the city's South Side. One of the bullets had struck him in his face, fracturing his jaw. Police forces across the country implement summer-specific strategies, like larger patrols, to combat summer violence, according to Cohen. This June, Chicago police announced initiatives in its "summer strategy," which included adding more than 150 officers to the streets, expanding bike and foot patrols to enhance community interactions, conducting raids targeting gang members, partnering with the state police on expressways, and even "refining the Department's overtime system so officers who work overtime do so in their normally assigned beats -- allowing them to build on their relationships with residents." But by the end of June, in which 72 murders occurred, the total number of murders for the year climbed to over 300 in the Midwest's largest city. No other city came even close to Chicago. The Los Angeles area recorded 244 homicides from January through June. New York -- which has a population about three times Chicago's -- had 161 homicides in those six months. As June ended the Chicago Police Department called the level of crime in the first six months of the year "unacceptable" and cited the violence as "consistently fueled by repeat offenders with ties to gangs and committed with illegal guns." The department said at the time it was working "to stem the flow of illegal guns, identify and hold accountable the offenders who are driving the crime, and rebuild public trust in the process." After June, the homicide rate dropped slightly in July to 65. But in August, the murder rate skyrocketed to 90, making August the bloodiest month in Chicago in two decades. One of the 90 August victims was Nykea Aldridge, a cousin of NBA star Dwyane Wade, who was caught in crossfire as she walked her newborn child on Chicago's South Side. Two brothers, both convicted felons who served time in prison, were arrested. Johnson called Aldridge's death "an example of why we need to change the way we treat habitual offenders in the city of Chicago." She "was just another mother who wanted her children to get an education just like any good parent would," said Johnson. "Instead her life was cut short by gunfire from two convicted felons who were both out on parole." "These two offenders are the prime example of the challenge we face here in Chicago with repeat gun offenders," he said. They "don’t care who they shoot, don’t care whose life they take and clearly, clearly, don’t fear the consequences of their actions," he said. "I’m frustrated, you should be frustrated, all Chicagoans should be frustrated," Johnson said. "When will enough be enough?" As August ended, Johnson stressed that laws need to be changed to ensure that repeat offenders, like the brothers arrested for Aldridge's death, aren't "on our streets ... in the first place." "The historical cycle of violence ... must come to an end," Johnson said.